White Gyoza in Kashiwa City is an institution. You'll see customers line up outside waiting for the shop to open. The shop is low rent and fun, and if you can't get a table, don't fret. The counter is a great place to sit so you can watch the chefs at work. The speed at which they prepare gyoza for takeout is amazing. Takeout is a big part of their business, both cooked and frozen. I usually get suigyoza teishoku. 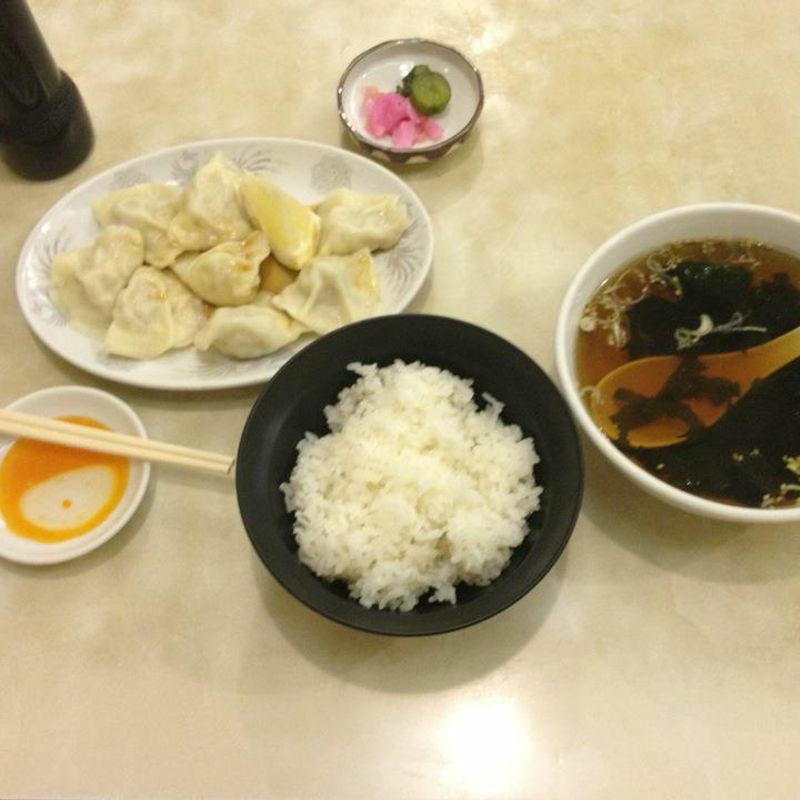 The proportions are big - soup, pickes, a generous helping of rice and a big plate of gyoza. Yakigyoza here are an experience - 10 pieces on a plate, crispy on the outside, slightly chewy skins, and loaded with pork, cabbage, onions and flavor.